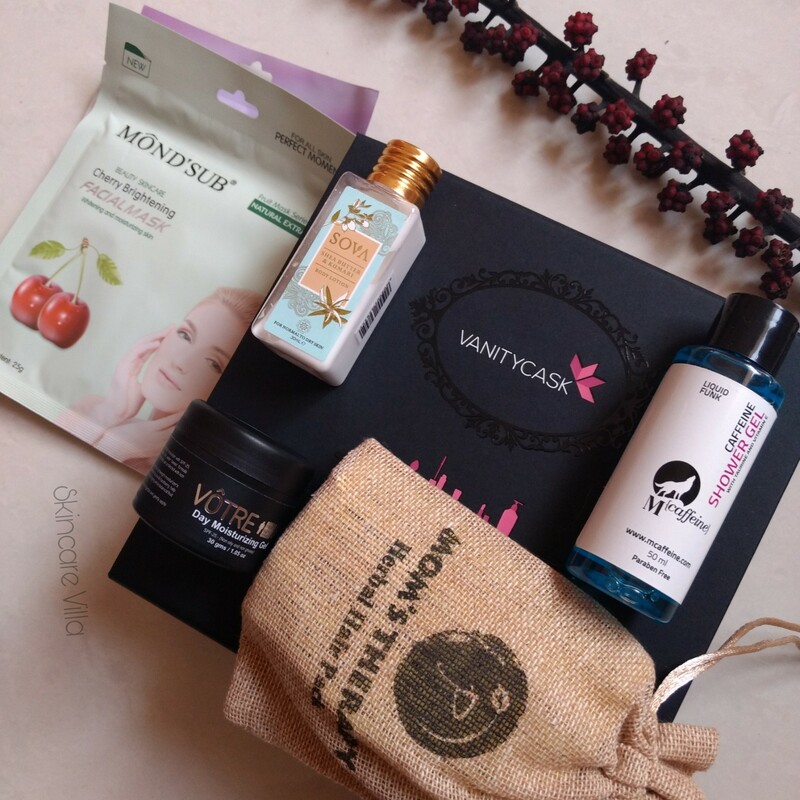 By now you might be aware of the luxurious subscription box named VanityCask wherein we get to try some luxurious brands which otherwise are a bit costly. 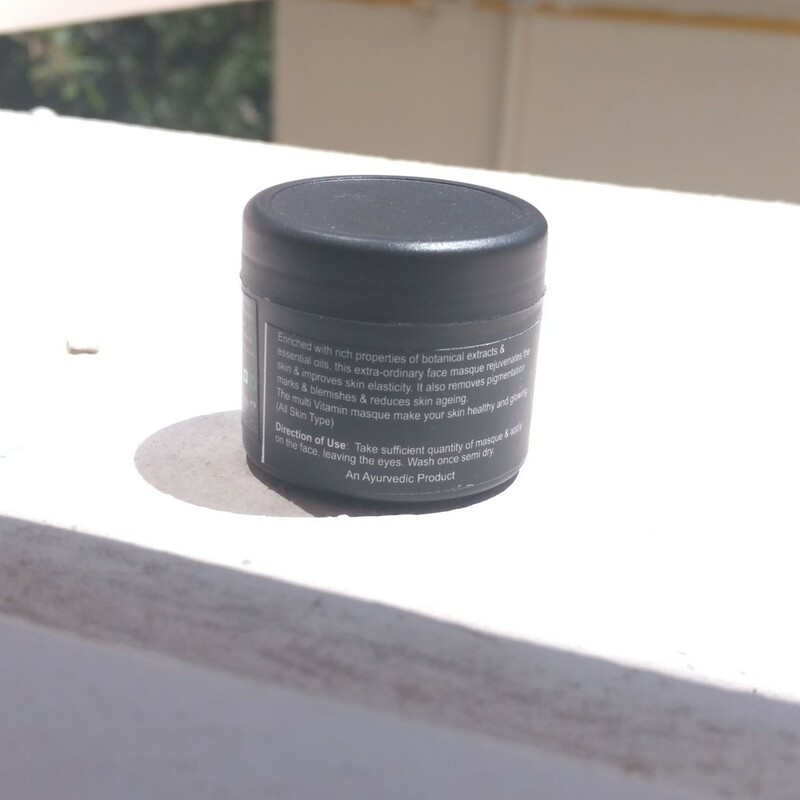 I really like the black box which in which all the products are housed, plus not to mention the silky pink potli which carries the products. Today ee will be checking out the Summer Romance Edition which is curated keeping in mind the summer season. Read on to know the curation story and the contents of the box. Come summer time and most of India is taken over by hot weather, and the first to feel the heat is our skin. Team VanityCask and our in-house specialists have spent the last few months researching the best way to fight the heat, while giving you a taste of a premium luxury vacation. We worked towards creating a box that would cater to every problem that your skin and hair face during the summer. The idea was to fulfill your needs while giving you the exotic experience you deserve. Th result is our VanityCask Summer Romance Edition, the ultimate guide to summer luxury! Summer calls in for some light weight gel based moisturisers for oily skin types. Sinceany of use sweat a lot during the summer season, a gel based formula is quite apt. I like using Votre Day Moisturising Gel while heading out during day and I like how it hydrates and moisturises my skin while not being sticky at all. Brand Claims: This product is a blend of gel moisturizer with sun-protection that protects your skin from harmful UV rays. This moisturising gel gets easily absorbed into the skin, controls oil and gives a non-greasy glow. It keeps you hydrated all throughout the day. It protects your sensitive skin from the harmful UV rays with SPF 25. It revitalises your skin, adds a natural glow and is dermatologist tested. 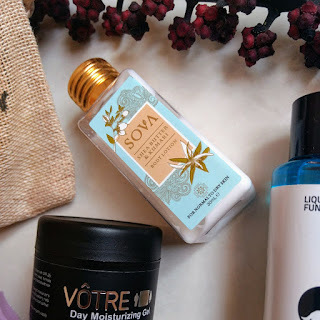 Summer season doesn't mean we have to skip body lotions, and to make the skin feel moisturized without any stickiness this lotion comes to the rescue. Brand Claims: Woven with the wisdom of the traditional Kumari plant to replenish your skin and rich Shea Butter to make it divinely silky, this lust-worthy lotion with soya extract, macadamia nut, and jojoba oil leaves your skin illuminated and youthful for all the years to come. Who loves bathing with cool water and a shower gel. I really liked the idea of a shower gel in the summer edition of the VanityCask Box as we tend to sweat a lot and for a quick shower, shower gel is very handy. Brand Claims: Get acquainted with the whirlwind of energy with this Caffeine infused shower gel. MCaffeine Shower gel keeps you refreshed, energized and charged. Caffeine infused in the gel, removes the dead cells and gives your skin a healthy glow. It cleanses the skin while its bubbles and intoxicating minty scent will leave you feeling refreshed and revived. 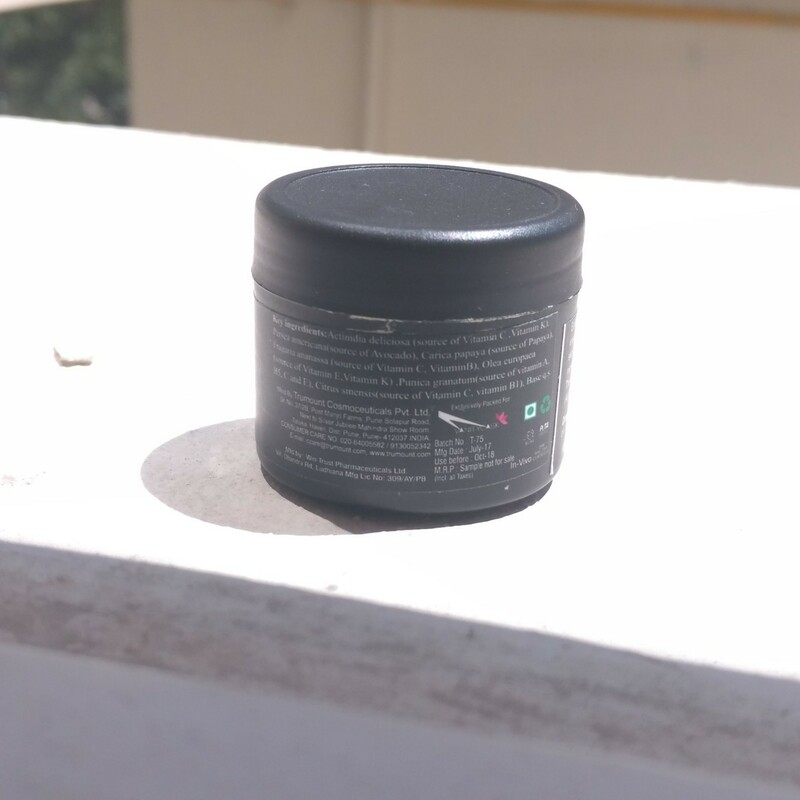 Hair, from my point of view needs extra care during summers as we sweat a lot and dust pollution tends to accumulate and wreak havoc of the hair texture. Hair packs go a long way in maintaining the texture of the hair just like a face pack for face. I am really happy to receive the product in the box. 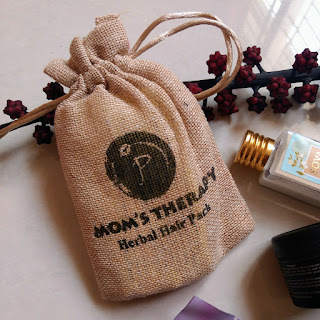 Brand Claims: Mom’s Therapy hair pack with the power of 9 herbs, nourishes the hair and enhances hair growth. It is an effective remedy for common hair problems like dandruff, hair fall and premature graying. It revitalizes the hair, making it healthy and lustrous. 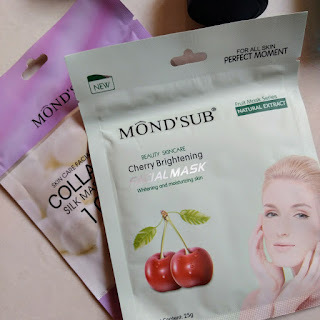 Facial masks are a good way to prep up your skin when you are on the go. Since during summers most of us plan for vacations and outings, using sheet masks is a good way of pampering the skin while travelling. 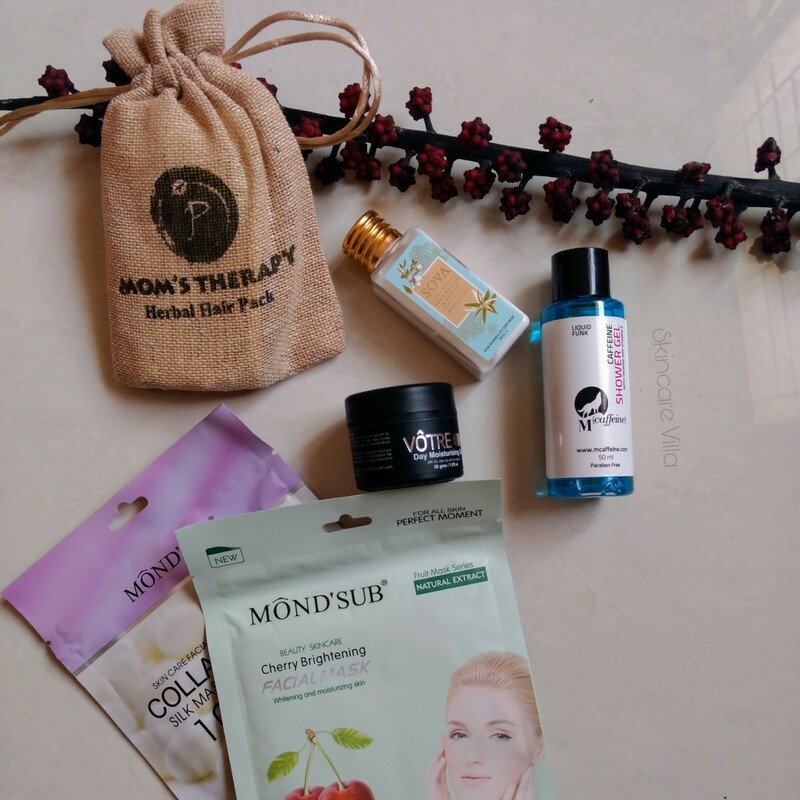 This way you carry less and still pamper your skin without disturbing your skincare routine. Brand Claims of Cherry Brightening Facial Mask : Cherry containing abundant vitamin C which is 50 times tomato’s, this product can soften and beautify skin. Together with several essences and moisturizing ingredients, this formulation can penetrate into the skin, moisturize, smoothen and brighten skin. Brand Claims of Anti-Wrinkle and Moisturizing Facial Mask : It balances skin nutrients and replenishes skin, nourishing & hydrating skin and increasing skin’s vigor. Formulated with several plant extracted essences, this formula is specially designed for dry skin, mature or prematurely aging skin. Bliscent is a brand I always had thought of trying but never got a chance, all thanks to some impromptus shopping online as well as offline. 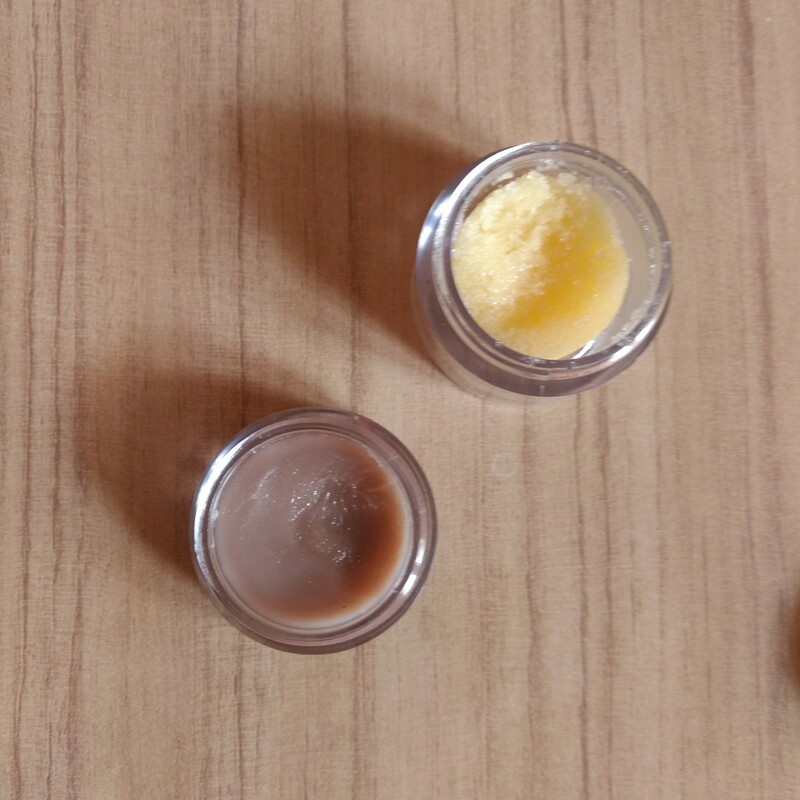 I received Bliscent Hot Chocolate Lip balm and Pineapple Kiss lip scrub in two VanityCask Boxes. 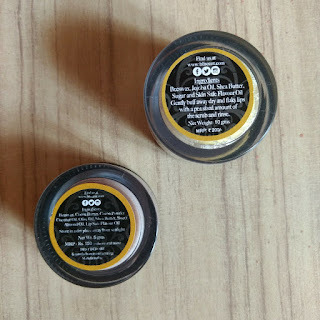 So today am going to review both these lip care products. We often fail to scrub our lips but we shouldn't skip doing that. Okay, onto the review now. Both the products are housed in SAN jars which have a double lip plus are very sturdy. I sometimes keep on dropping my stuff and these beauties were strong to resist the drops without a single damage. The products carry ingredients list as well as price on lables, which are in bottom of the jars. 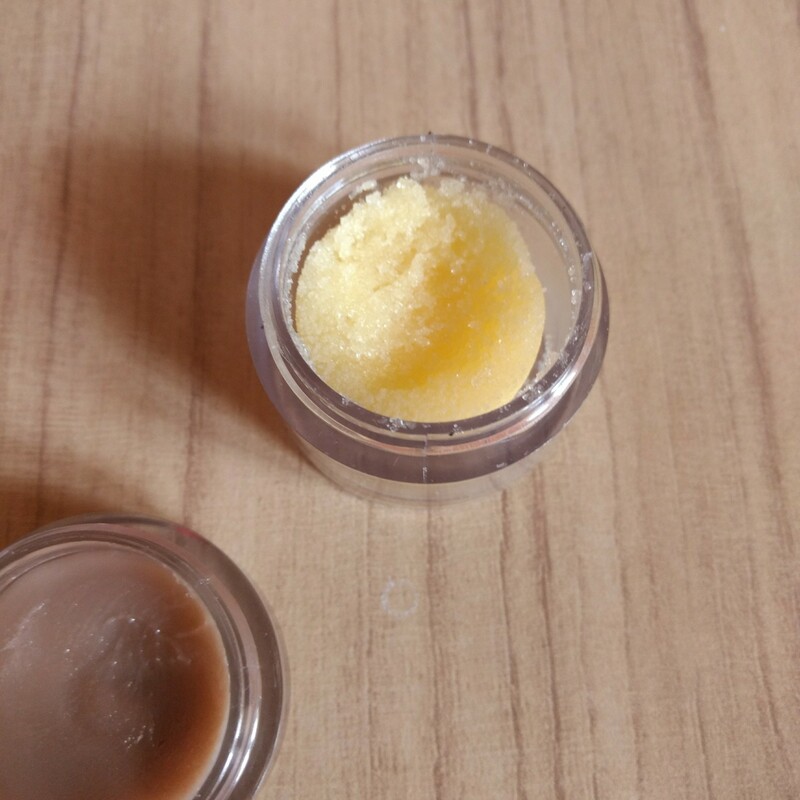 The lip scrub is good and has very small sugar granules so as to exfoliate the tender lip skin. 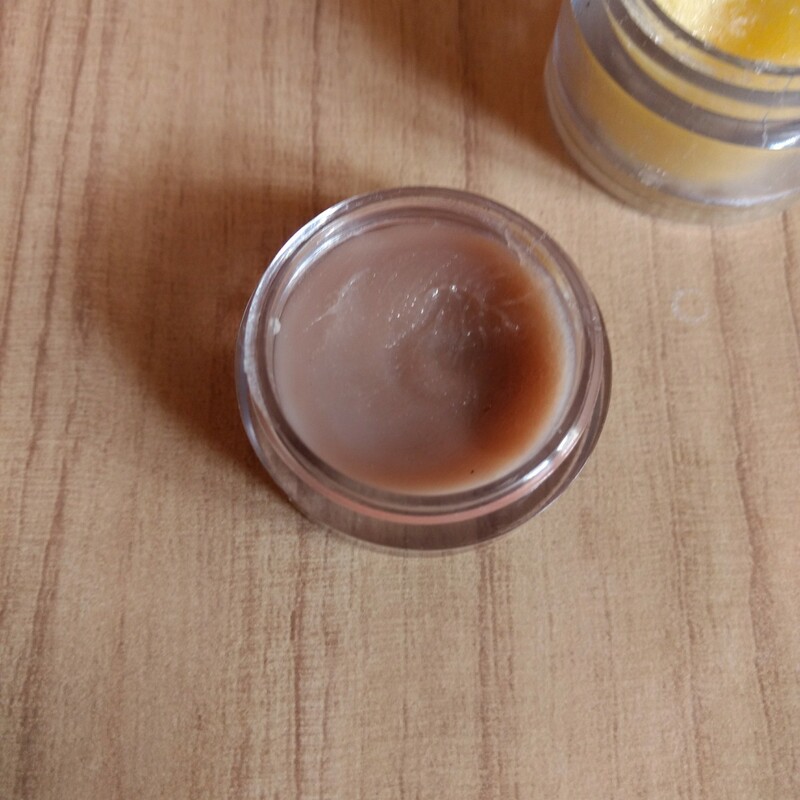 The lip scrub does a decent job of scrubbing effect without being too harsh. Due care is to be taken so as not to scrub too harshly as it might hurt. On one occasion I had a mild irritatuon on my lips and this scrub burned that particular area a lot. Nonetheless the fragrance or flavour of the product is amazing and feels like real pineapple, like real, freshly cut pineapple. Coming to the lip balm, again it's fragrance is amazing, like fresh host chocolate. The lip balm is very moisturising and soothing for chapped lips. It instantly puckers up the lips making them soft, smooth and supple. The moisturising effects last upto one day if you don't lick your lips often or are not into applying lip balms often. This is the best part I feel as I tend to forget reapplication of lip balms. Now the main part, both the products use lip safe flavour oil, I don't know if it is oil or just flavour or just a chemical. Even though the brand mentions it lip safe, I don't know who marked it is as lip safe (if you know what I mean). According to me mimicking a real fruit or chocolate fragrance can be done only via a chemical. But if we need some lip smacking flavors like hot chocolate or pineapple in our products we have no option other than using some lip safe chemicals. Overall speaking the products are good to use if you don't mind using some lip safe chemicals! I really like the cute, sturdy, double lid jars. I like the efficiency of the products as well as the fragrance. 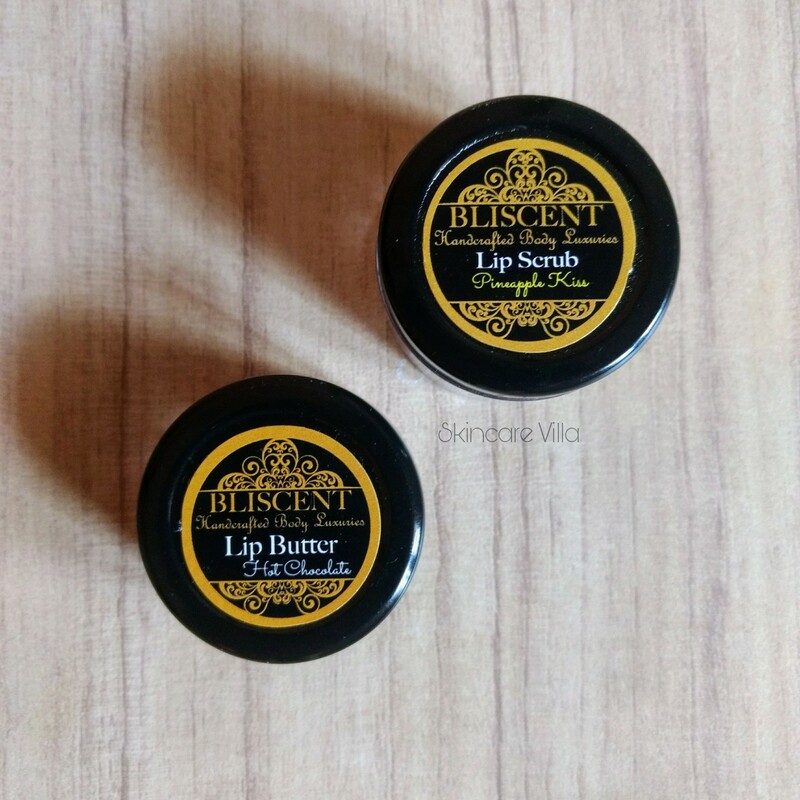 If you are someone who is into total synthetic, chemical free lip care products then Bliscent lip care products are not for you. But if you don't mind any chemicals and are a sucker for fragrance of hot chocolate and fruits then these are just perfect for your taste. I would rather skip repurchase due to the lip safe flavour oils used in them. Powder cleansers are my whole and sole skincare products without which my skincare is incomplete now. If you love using foaming cleansers, the incomplete feeling you get or something is amiss feeling you get when you don't use foaming cleansers, I get the same feeling if I don't use powder cleansers. 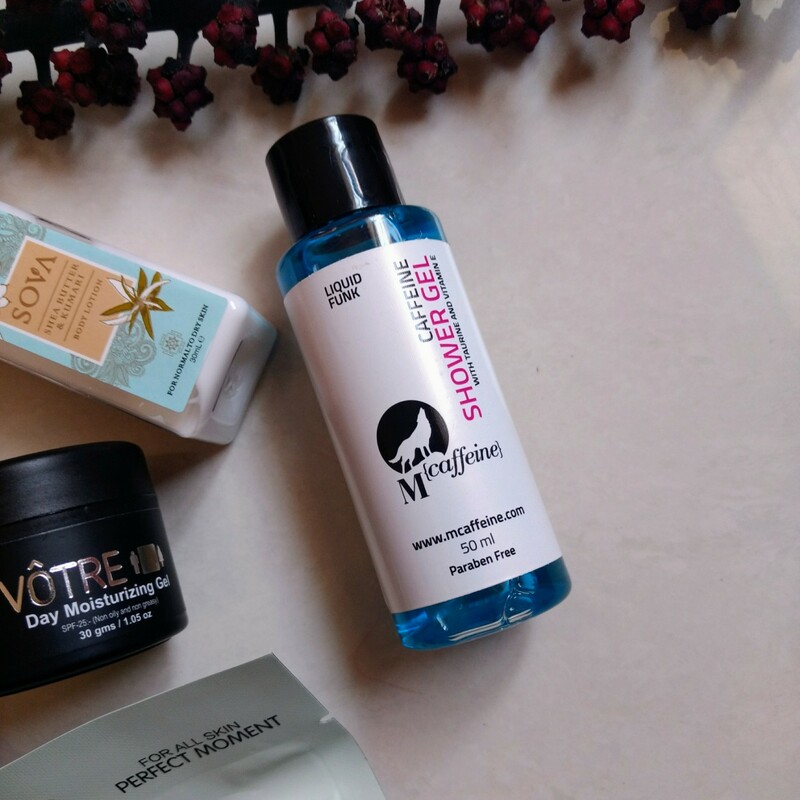 So now you can really call me a powder cleanser addict and am going to list down my favourite powder cleansers which you cannot miss out at any cost. Although a little pricey for the quantity offered, I like the instant glow and freshness this powder cleanser gives. The product also works as a face scrub and gives soft and smooth skin. I love how simple yet effective this powder cleanser is from the house of Artisanal Skincare. 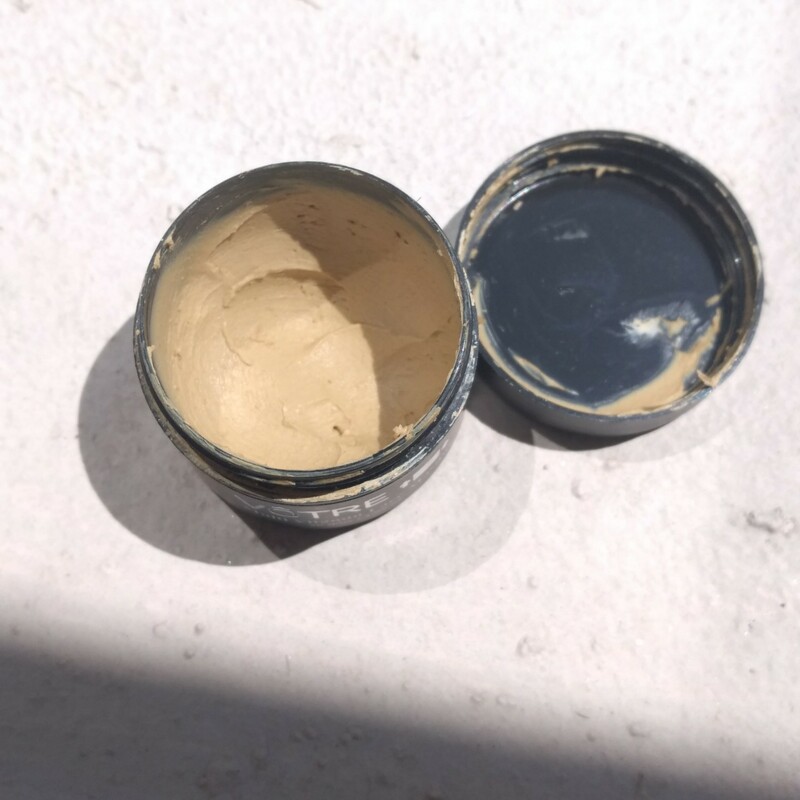 With each use my skin was left glowing and the end of emptying my tub I could see the pigmentation aorund my mouth was reduced. 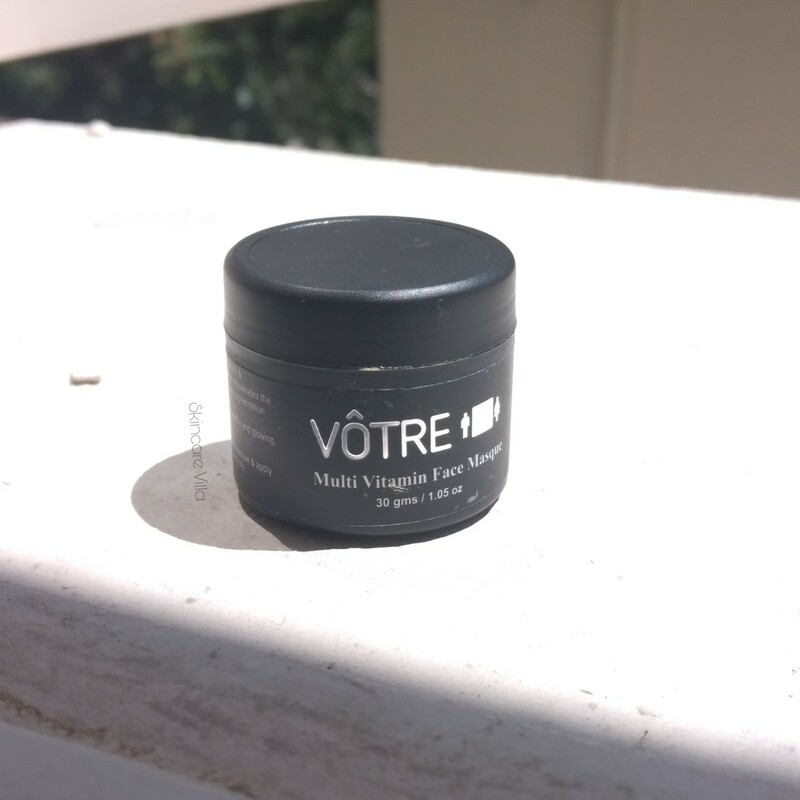 This one is a current favorite and helps in diminishing the appearance of black heads plus helps in combatting acne. It gets washed off easily and lasts more than thought. I like the earthy fragrance of this powder cleanser, I mostly end up using this one at night due to the presence of lemon peel powder and lemon essential oil in it. Nonetheless I am in love with the packaging of this. Embar Store Cleansing Grains can be immediately applied as face pack while washing your face. 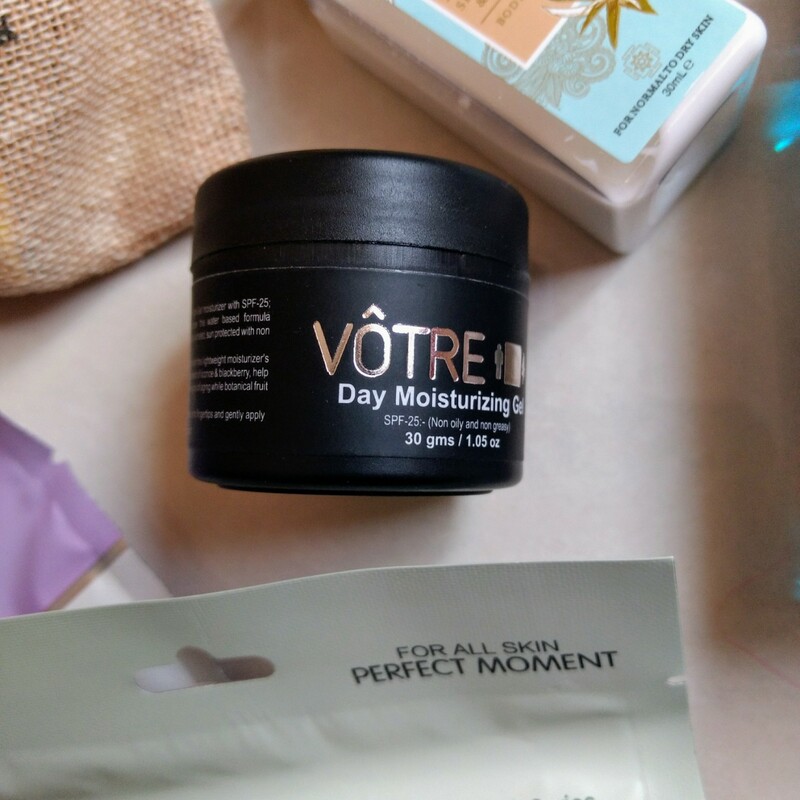 The product dries up quickly too so you don't end up waiting for the face pack to dry. I like the fragrance of the product and end up sniffing it most of the time. 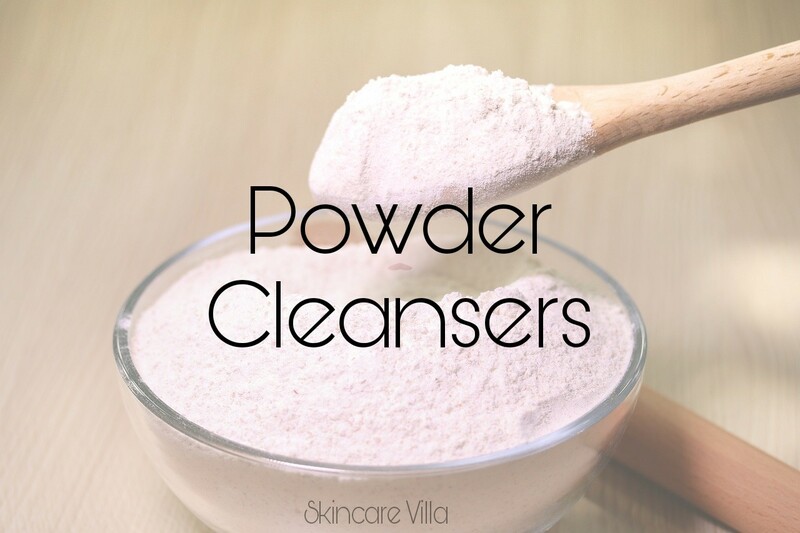 If you want to read a detailed review of the powder cleansers plea click the title of each to read the review. Now it's time for a DIY. For this DIY am going to link up the first ever product of my shop and to top it all this is the best seller product till date. So here the DIY of Oats Almond Cleanser. I hope you all enjoyed the post. If you have any queries or doubts please comment below and I will try my level best to solve them.